Barium Sulphide’s Compound Formula is BaS. It’s a black coarse powder form and also essential precursor for rest of the barium compounds. Barium Sulphide is wide used in surface coating materials as pigment extender and also in glass, rubber industries. It’s also an important precursor to other barium compounds including ZnS/BaSO and BaCO₃. Its Molecular Weight is 169.39 and Its Melting Point is 1,200° C (2,192° F) and Density is 4.25 g/cm3. It’s soluble in both aqueous and organic solutions. 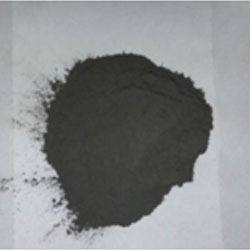 It is used as depilatory in the manufacture of lithopone, luminous paints, generating H2S, vulcanizing rubber. We are supplying barium sulphide to all parts of India. We are currently supplying to some of the leading companies in India and we give assurance to deliver our products to client’s destination within given time period. Barium Sulphide has wide applications, mainly used in luminous paints. Used as a flame retardant and acts as a reducing agent. Used as a major raw material for some important Barium compounds. Used in hair removing formulations and also in the manufacture of Lithopone. Used in the manufacture of Alum; to reduce the Ferric Sulphate in the Alum solution to Ferrous Sulphate. Used for generating Hydrogen Sulphide. Packing: 50 Kg Polythene laminated H.D.P.E. bags.